Mardi Gras is next Tuesday, but it is always time to party at Port Orleans – French Quarter. From the parade pieces found in Sassagoula Float Works, the resort’s quick service destination, to the beads you are presented when you check in it is Mardi Gras 365 days out of the year. 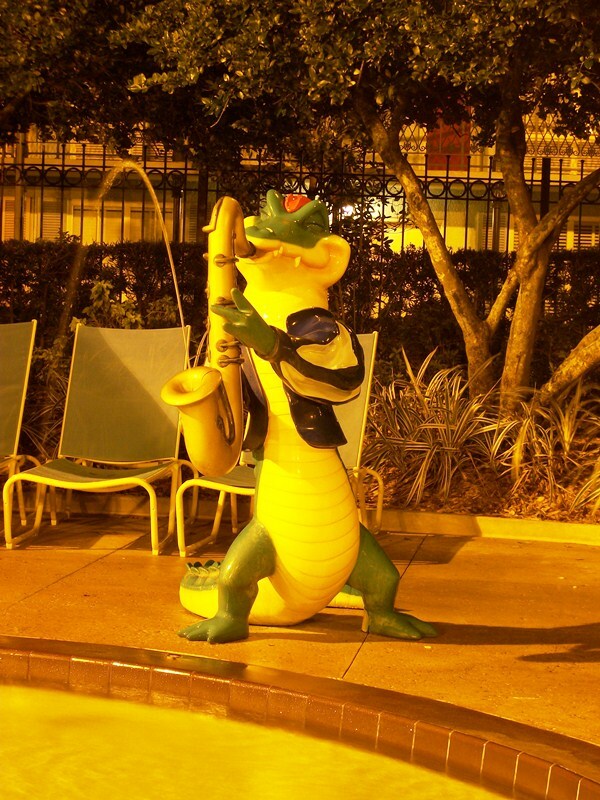 In fact, it is such a party, that even the wildlife have gotten in on the act. 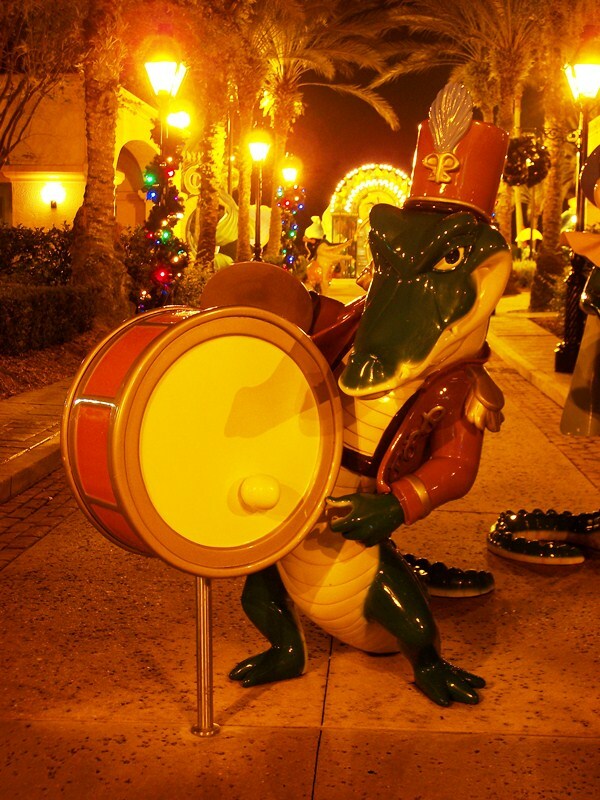 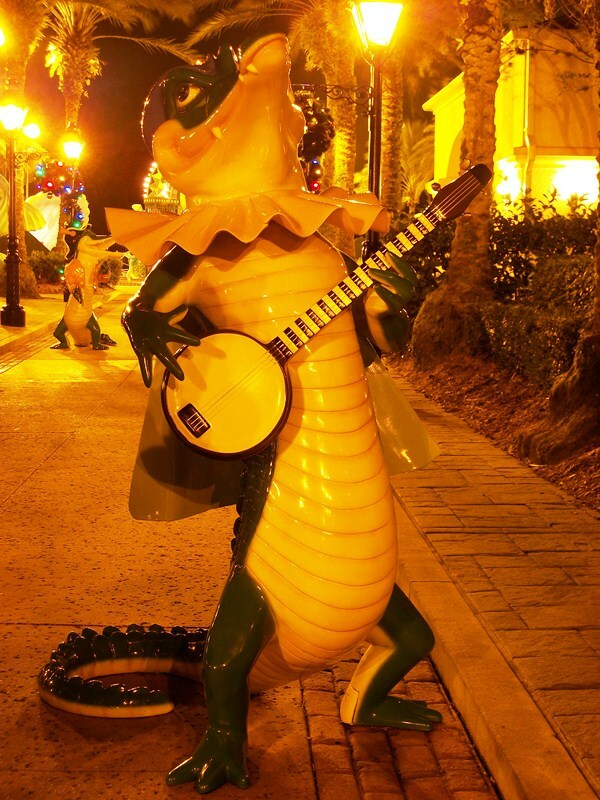 Long before The Princess and the Frog introduced us to the jazz-in-his-blood alligator named Louis, these decked out gators were jamming all along the route to French Quarter’s Doubloon Laggon. 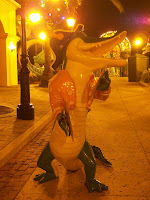 When I'm at WDW, I almways saty with my family at the Port Orlean french Quarter. 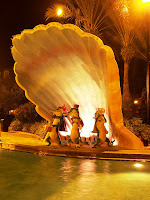 This summer my fiance and I will be staying at Port Orleans French Quarter for our Honeymoon in WDW. I could not be more excited!! 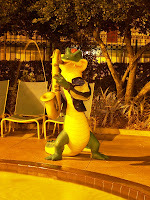 Though I've been to Disney World many times this will be my very first experience staying at Port Orleans. 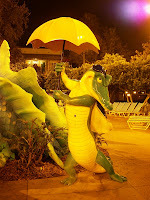 I do remember sliding down the fun dragon waterslide during a trip to Dabloon Lagoon as a child though.